Home » Destinations » Western Australia » Is Australia Really That Expensive? While we have been travelling the world we became aware that life on the road was cheaper than we first expected. We started saving money instead of spending it all. We read an article in 2013 that announced our hometown of Perth was now the 10th most expensive city in the world and we listened to our fellow travellers complain about the costs of living in Australia. Well now we are back. So is Australia really as expensive as they say? Here are a few examples of costs we paid per month, through our 600 days of travel so far. All prices are in AUD (to make it easier for our US readers, during the period of our first year of travel, the USD/AUD exchange rate was close to 1:1). Accommodation: We stayed at the Bali T House Hibiscus, opposite a rice paddy with shared swimming pool. The house was open aired, 2 bedroom, semi-outdoor bathroom and upper loft. Check current prices in area here. Utilities: Included water, electricity, Wi-Fi, cleaning and breakfast every morning prepared in our kitchen. Food: Josh and I could often get food delivered for as little as $5. If we went out to a nice restaurant we might spend a maximum of $20. Bali has a wide range of foods available, but obviously local Indonesian food is going to be cheapest. Transport: We hired a van for $480 for the month. Fuel was so cheap, 45 cents per litre. This supposedly included insurance, but you never know. Cinema: We did not visit a cinema while we were in Bali. I think there was only 1 cinema on the whole island at the time. Daycare: $30 for 2 kids for the month at a local daycare in Jimbaran. The staff didn’t speak much English. We also donated items like markers, pencils and toys. Other more Western-focused daycare centres would probably cost more. Accommodation: A beautiful executive apartment with 3 bedrooms and 2 bathrooms, massive living space. Gym and beautiful pool in complex. Check latest prices for Bangkok accommodation here. Utilities: Included water, electricity, Wi-Fi and cleaning once a week. Food: Street food was delicious and cheap, sometimes only costing a few dollars. Tourist restaurants were higher, but still relatively cheap. Transport: We daily took a taxi to the kids day care (about 10-15 mins), which was $3. Tuk tuks were even cheaper and the train system was also relatively inexpensive and modern. Cinema: The cinema in Bangkok was cheap. You could attend Gold Class for $12 per ticket, including pillow and blanket. Daycare: Daycare was quite expensive at $22 per child per day, however it included all meals and several activities per week including music class, gymnastics and art. Regular daycare centres would have been a bit cheaper. Accommodation: Upper level apartment in Miami Green, 3 bedrooms, 2 bathrooms. Several pools one with a slide, playground, gym, parking. For latest pricing in area please click here. Utilities: Included excellent Wi-Fi, cleaning, electricity and water. Food: Visits to Long Beach Hawker food would be roughly $10 for our family, amazing Indian restaurant $12. If we wanted steak probably around $20 – 30. Transport: We hired a small car for $470 for the month. Fuel was so cheap, around 68 cents per litre. Cinema: While the kids were at daycare Josh and I visited the movies. 2 tickets, 2 popcorn and 2 drinks came to $12. Daycare: We researched many schools and the kids liked the one we chose. It was $225 per month for full time care 6 days a week. We only wanted 3 days per week and they agreed to do half the price. Accommodation: During the peak season we managed to find this deal through a lovely rental agent. It was a 2-bedroom apartment with a pool and only 10 minutes walk from the beach. Check the latest prices for hotels in Playa Del Carmen here. Utilities: We had to pay for electricity and cleaning, but all other utilities were included. Food: You could get tacos from a stall for 75 cents each or head to a restaurant and spend about $20. Transport: In most parts of Playa a taxi is a standard flat fare of $1.80AUD. We also hired a car for two days to explore the region for less than $20 per day. Cinema: We didn’t attend a cinema in Mexico. Daycare: The kids didn’t go to daycare in Mexico. Accommodation: We decided on some extra security in Guatemala and moved into a house within a gated community. It was 2 story with an open-aired garden in the centre. It had 2 bedrooms, 3 bathrooms, and a massive amount of living space with views of the volcano. There were cheaper alternatives available around town. Looking for a place in Antigua, check here. Food: We loved the restaurants in Antigua and a fine dining French restaurant set us back maximum $30, most meals were under $20 for 2 adults and 2 kids. Transport: The Owners of the house were kind enough to lend us their scooter while we were in Antigua. Filling up the tank with petrol cost $5. Sometimes we spent a few dollars on a tuk tuk at night. Cinema: We didn’t go to the cinema while in Guatemala. Daycare: The kids attended a local childcare where the teachers only spoke Spanish. AUD$3.74 per hour for 2 children. Accommodation: We own a house in Australia and built in 2006 before the massive real estate boom kicked in. While we pay a small mortgage a fully furnished holiday house/apartment in Perth can cost minimum $200 per night. Try finding a cheap place to stay in Perth here. Utilities: On top of that utilities are costing us about $400 per month. Food: Probably the most expensive anywhere we have been since the minimum wage is so high. Takeaway is anywhere from $30 - $50, a meal at a typical American ribs/steak diner is about $80 – that was with the kid’s eating free! Breakfast of 1 scramble eggs, 1 egg benedict and 1 pancakes for the kids to share will set us back about $60 (not including orange juice!). Transport: Thankfully my parents had a spare car they leant us while we are here in Perth for the next 4 months. Fuel is about $1.60 per litre. A small car rental is around $1100 to $1500 per month. Cinema: If you have a special membership card (you buy for $35) you can get discounted tickets for $12 each, otherwise normally around $18 each. Gold Class cinemas will set you back about $40 per ticket not including food. Daycare: Before we left Perth our kids were enrolled in a local day care, which cost $75 per day per child. Australian residents can apply for government discounts. So yeah Australia is expensive. Out of the 41 countries we visited we found Jerusalem, Israel & Rovaniemi, Finland to be the only place on par with Perth in terms of pricing. Everywhere else, including New York and London, worked out cheaper. While Perth is the most expensive city in Australia, the others are not that far behind. To compare these numbers across the country, Sydney is 115.29, Melbourne is 111.58 and Brisbane is 109.67. The Numbeo score uses the cost of living in New York City as the benchmark (at “100”), and all other cities are calculated on a scale compared to that. So at over 123, Perth is around 23% more expensive than New York City overall. It is commonly known that Perth is considered a “mining city” because we have a large population of workers flying out to work on the iron ore mines. And these workers are responsible for keeping the economy buoyant. While we live in a beautiful part of the world, the costs seem extravagant compared to other cities that offer a lot more in terms of activities, culture, infrastructure and entertainment. 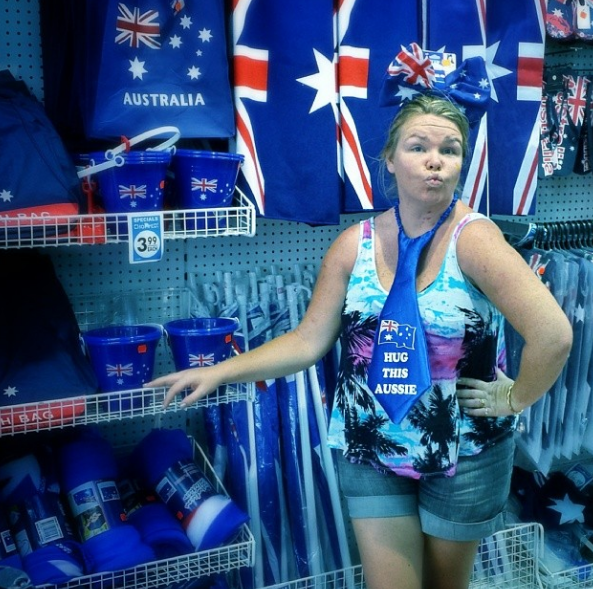 Everywhere we go around the world, it’s a common thread that people want to visit and live in Australia. But I think they might not realise it takes more than luck to live in the lucky country. What do you think? Have you travelled to Australia? Was it expensive? Was Australia expensive? Breathtakingly so! I had done almost a year's worth of research but nothing could have prepared me for the sticker shock (and I live in Canada, which isn't exactly cheap itself). I think what drove me nuts about Australian costs were that none of our usual budget tricks and tips worked out. Go to a farmer's market? Not with $4 pastries and $8 smoothies (made from bananas covered in mold!). Go to the grocery store? Half a loaf of banana bread was $11, apricots were $14 a kilo, even individual tubs of yogurt were nearly $3. I think the key to successful long term travel in Australia is to include some work at the local wages - Australians make a higher minimum wage than most countries so these costs are more proportional for locals than for visitors. That's a really great comparison. Can I ask you more about day care? I've never used it here in Oz, and never thought to use it while travelling. How did it work? Did you use it regularly/for education, or just as hoc for some couple time or to work? How do you go about getting the kids in daycare in bali? Is it a long term thing or can you do just a couple of days? @Alyson - Deal, we will come when you are there! @Lorri - We used daycare for several reasons - 1. We were still working and didn't want to stick the kids in front of the TV. 2). To socialise the kids with people their own age. 3). To get in couple time. Often we were referred to the day care by people we met or knew in the area and they were all lovely and welcoming and happy to take the kids for one month, obviously those countries had much less red tape. They were only in 2/3 days a week from about 9am - 3pm. @Melissa - Daycare was not long term, the kids were there for a month. We just drove around, found one and asked them, they were so happy to oblige. Another difference is that there are low-income options in Thailand and other countries. You can as you said do street food a dollar or two, and do a cheap rentals, far cheaper than what you paid and would put one living closer to a local. Nevertheless, it means one can get on the road in Asia without being rich, but try saving up for Australia where the flight alone is a lot for Canadians. A single person can stay at a bungalow in Thailand for $10, in Canada it's $25 for a single person to camp on the beach. I just got back last night and SO many things were overpriced. $6 coffees, $12 breakfasts which were equivalent to prawns. I'm from NYC so seafood here is expensive, why are eggs so much there? Funny, I found some things that were super cheap such as clothing and a huge pack of beef for $5. alcohol was cheaper in Sydney than Bondi and even cheaper in Cairns. but the gas and rent is sky high, our friend pays $2200 to share a room per month. I'd rather vacation somewhere cheaper than go somewhere where prices are higher than NYC, but Australia was worth the trip and MUST to do no matter how much I spent. To get to...yes but everything else...no! Altho I'm basing this on my travels over 10 years ago! Still my fav place in the world- I WILL be back one day...! Yes it is. As a visitor to Australi, I spend a lot more than I do in other similar countries than I do there. Not as much as Norway though. I use a snicker bar to judge how expensive a destination i. You can also look at the price of a Big Mac and that tells you how expensive a city will be. When I lived there my company subsidized my housing ( approx 75%) to cover beyond the typical monthly cost of my US lodgings. On paper, my employee's employees were making substantially more than me! You might not have the services or access of other Aus cities, but they don't have your beaches! Awesome breakdown of living expenses - really helpful, thanks! As a fellow Australian living in Sydney, it's nice to see how everything compares nearby. I know you and your family love to travel, so I thought you might be interested in a project I've been working on. I've recently created a new series of travel books for kids to teach them about different countries and cultures - check them out at www.my-first-trip.com. Thanks! Thanks for this great post. We are currently living in Oz thinking of heading overseas this year and it's great to see a comparison of prices for cost of living. I agree with the some of the other comments that a good way to cope with the relatively expensive prices of Oz is to work here for a while because the wages are relatively good. Perth is a little bit different to other cities in Australia because the economy has been heavily influenced by the Resources Boom, which apparently is slowing now. When we visited from the Eastern Seaboard we noticed the cost of food being generally higher, for groceries (especially fruit and veg) and eating out. 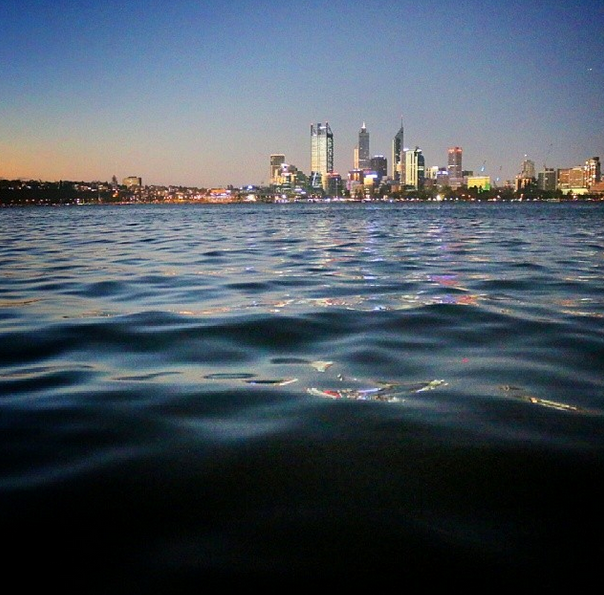 Having said that, Perth is an awesome place to visit, a unique city with its beautiful beaches so close to the city and gorgeous river frontage. The landscape of WA is stunning and having lived there a while back, it is still something I miss. 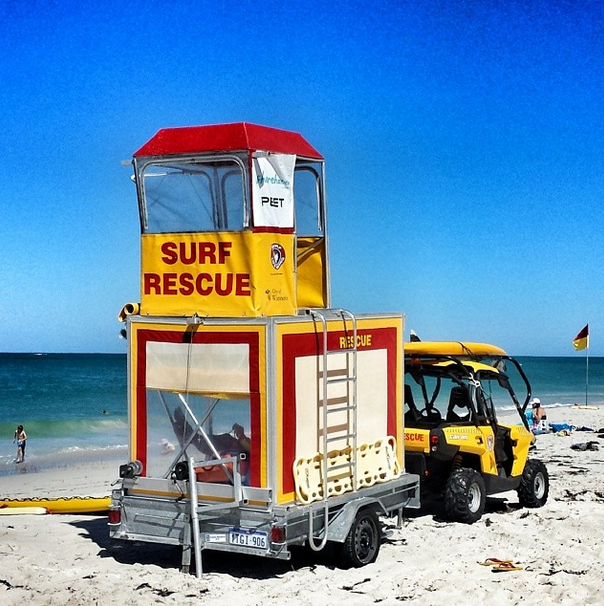 I wrote some tips on my blog for visiting Perth with kids in the hope that it would encourage more people to head there (http://mumsumsum.wordpress.com/2014/03/10/perth-family-holiday-tips/). We lived in Perth in 2011 and I was shocked at how expensive things like food and accomodation were. However since returning to the UK I'm horrified at how expensive bills and food are here now! Since 2008 I reckon our food bill has doubled (not helped by the fact that we now have two permanently hungry kids to feed......) Wages are much higher in Perth so I think it probably evens out. $30 for the MONTH FOR DAYCARE! Holy crap! I pay in Vancouver $2000 for two kids 4x per week and drop in is $85 for one day ( yes there is cheaper around, but we like our center) I think Ubud just got to the top of the list!